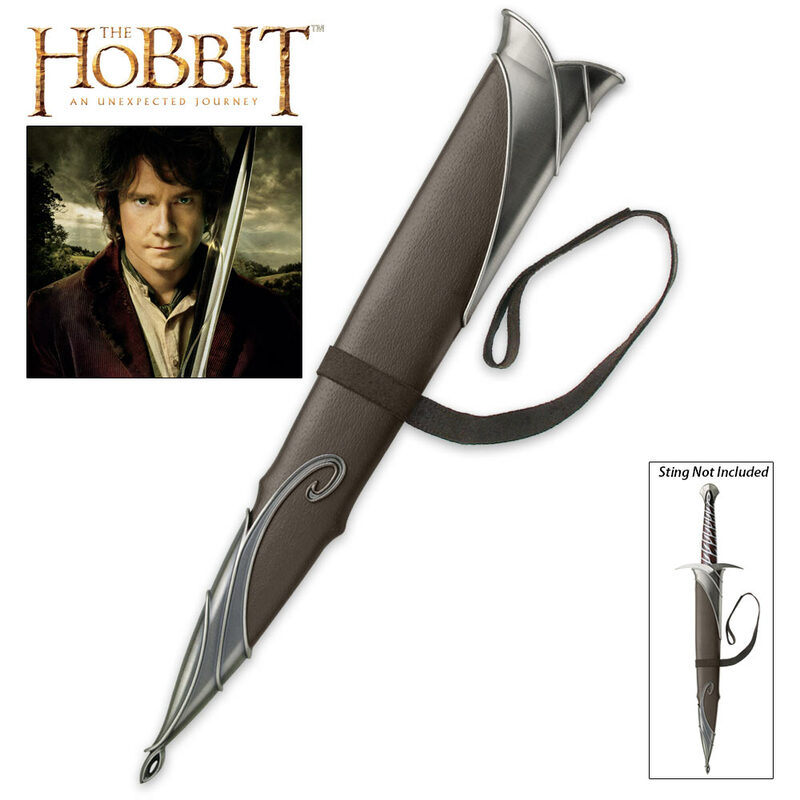 Excellent quality scabbard designed for use with our Sting Sword from the Lord of the Rings and The Hobbit series. This highly detailed replica is an exact match to the prop used in the film. Features include the leather wrapping, all metal fittings, and a belt strap/loop. This piece measures 18 3/4 in. overall. Sword sold separately. Great quality on this scabbard. Fits perfectly with the sword(as expected), and you can even hear a "click" locking the sword in place. Great piece! When Bud K offered the matching scabbard for Sting, I couldn't place my order fast enough, but I was totally unprepared for its arrival three days later, and even more so for the quality and fit, thus the addiction was established. As a LOTR fan and collector starting with the books, followed by the early movie versions, and finally the outstanding Peter Jackson movies with the collaboration between Weta Workshop and United Cutlery the end result was near perfection. The final straw was Bud K's rapid availability and pricing. To say that I have been enthralled with each and every piece would be a massive understatement, with my thanks to Bud K literally beyond words. simply outstanding!!!!! Having the matching pair was beyond my expectations!!! 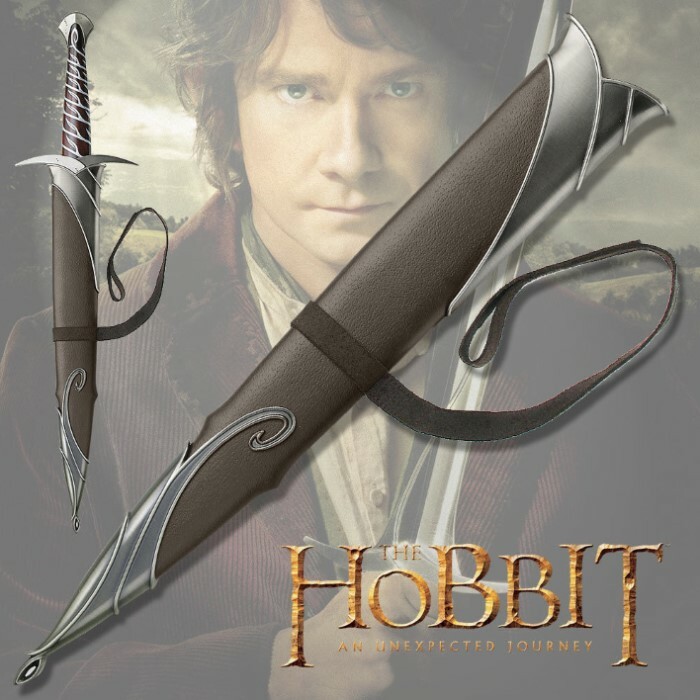 I own several United Middle Earth weapons this & the Glamdring scabbard are the first of there scabbard line I have purchased and I was pleasantly surprised at how good of a quality product they are. Very pleased. The scabbard was excellently crafted. No scratches or blemishes were upon its surface. It seems sturdy, though only time can tell. I would definitely recommend this to anyone buying Sting.